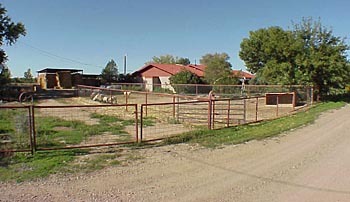 101 fenced acres with updated Ranch style home with barns, corrals, feed lot, and metal shop. This beautiful organic farm or horse ranch has a great 2BR/1BA home. This peroperty borders Springer Lake and is irragated from the Antelope Valley irrigation ditch. Located off Highway 68 and Springer Lake Road. Located 25 miles north of Grants/Milan, New Mexico, this historic ranch has been in the Pena family since 1916.The Pena Ranch offers 19,177 acres behind locked gates with scenic canyons, rock cliffs, high mesas with elk, mule deer, eagles, coyotes, dove, quail, and cotton tails. The Vermejo River runs through this beautiful horse ranch. Improvements include a 3BR/1BA newly remodeled adobe home with barns, corrals, 3 wells, a large vegatable garden, and a stocked spring-fed pond. Plentiful wildlifewith Elk permits available. 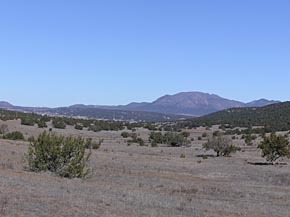 480 acres located close to Interstate 40 and Albuquerque. Prime for recreation or developement. Nestled between the Gila Wilderness & the Aldo Leopold Wilderness in Southwestern New Mexico is your opportunity for a fully equipped summer lodge, outfitting business, retreat location, or a bed & breakfast. This beautiful rolling countryside ranch is perfect for horses. 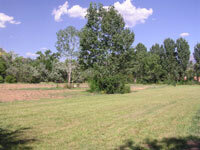 It is a great small ranch with a new, good-producing well and plentiful pastureland. 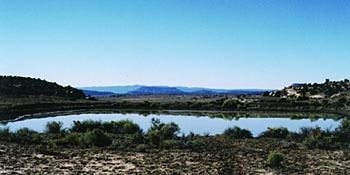 Great views of the Maxwell Wildlife Area lakes, the Sangre de Christo Mountains and the Spanish Peaks. Beautiful custom hacienda in Algodones with contemporary Santa Fe style. 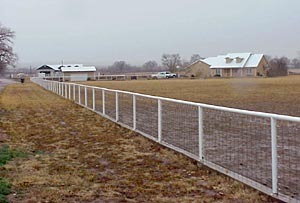 Corrales horse property nestled on 1.35 verdant acres. 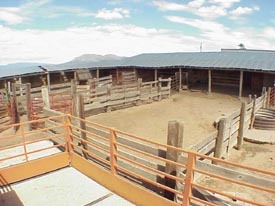 Lots of land for pasture or corrals. 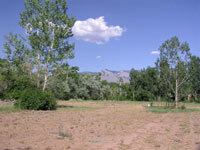 Rare opportunity to own a verdant homesite on Corrales' popular east side. It's almost two acres with an irrigation well, MRGCD privileges, fencing, acess from two sides, and best of all - Trees! 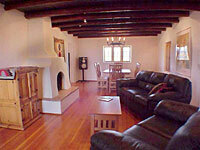 Custom adobe home on 4.86 acres of irrigated valley property. Enchanting New Mexico flavor. 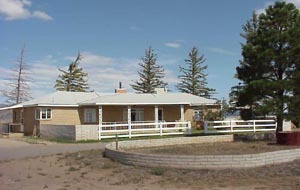 The majority of the 7 Cross Ranch acreage has been sold but the headquarters and ranch home on a 20 acres with all facilities for animals has been retained and is now offered for sale. Located between Los Lunas and Belen, New Mexico. This 1,900 sq. 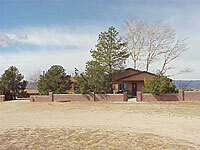 ft. home sits on 11.86 irrigated acres. Located between Los Lunas and Belen, New Mexico. This wonderful 2,212 sq. 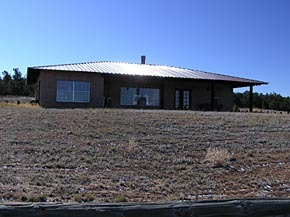 ft. custom home sits on 4 irrigated acres. Located between Antonito Colorado and Chama New Mexico, this outstanding property boasts 110 acres of forest and meadows sitting on both sides of the Conejos River. A renovated adobe home sits on the property as well as a shed, horse stalls, and all of the Trout fishing a person could ask for.